Lemongrass, also called fever grass, is a perennial plant with thin, long leaves that is indigenous to many Asian countries. As the name implies, lemongrass smells like lemon, but it tastes milder and sweeter. This herb is used in various Asian cuisines as a flavoring agent due to its potent flavor. Nutritionally, lemongrass is a good source of vitamins A and C, folate, folic acid, magnesium, zinc, copper, iron, potassium, phosphorus, calcium and manganese. It also has minute traces of B vitamins. It has many beneficial medicinal properties including analgesic, anti-inflammatory, antidepressant, antipyretic, antiseptic, antibacterial, antifungal, astringent, carminative, diuretic, febrifuge, galactogogue, insecticidal, sedative and anti-cancer properties. The leaves, stems and bulb of lemongrass are used in various treatments. Fresh and dried lemongrass are readily available in the market. We also get lemongrass essential oil and supplements. Lemongrass tea is most often used in home remedies for various health issues. Brew the tea by steeping one teaspoon of fresh or dried lemongrass in a cup of hot water for about 10 minutes. Strain, add any desired sweetener and the tea is ready. Ready-to-use tea bags are also available in the market. Lemongrass promotes healthy digestion. It has antiseptic compounds that effectively kill bad bacteria and parasites in the digestive tract and repopulate the good bacteria in the colon. This in turn helps treat digestive health problems like indigestion, constipation, heartburn, diarrhoea, bloating, flatulence, stomach spasms, vomiting and cramps. Plus, lemongrass has antimicrobial properties that help relieve gastroenteritis. The anti-cholesterol and anti-atherosclerosis action of lemongrass helps reduce the absorption of cholesterol from the intestine. It helps in the oxidation of LDL-cholesterol in the blood which in turn helps prevent atherosclerotic plaque buildup. A University of Wisconsin found that people with high cholesterol who took 140-milligram capsules of lemongrass oil daily noticed reduction in cholesterol levels. They also experienced a significant decrease in blood fats.The high potassium content in lemongrass also helps lower and regulate blood pressure. Simply drink a cup of lemongrass tea everyday to help lower the cholesterol level and reduce blood pressure. Take this herb in supplement form after consulting the doctor. Drink lemongrass tea on a regular basis to help the body get rid of harmful elements. Lemongrass has antibacterial and antifungal properties that help the body cope with cough, fever and other cold & flu symptoms. It is loaded with vitamin C that boosts the immune system to fight the infection. Use lemongrass oil to relieve headaches resulting from a cold or flu. Lemongrass is very effective in breaking down mucus and phlegm buildup & can alleviate problems with breathing. This is mainly beneficial when suffering from bronchitis or asthma. You can make the following medicinal drink with lemongrass. Research at Ben Gurion University in Israel has shown that lemongrass tea can help fight cancer. A component called citral found in lemongrass causes apoptosis in cancer cells without damaging healthy cells. It causes the cancer cells to commit suicide. There are several antioxidant properties in lemongrass that help lower the risk of cancer by fighting free radicals. Due to its anti-inflammatory and pain-relieving properties, lemongrass helps treat arthritis, rheumatism, gout and other types of joint pains. Its anti-inflammatory properties help suppress the activity of cyclooxygenase-2, an enzyme involved in inflammation that causes pain, especially in joints. Lemongrass helps to alleviate muscle spasms or sprains by relaxing the muscles, which in turn reduces the pain-related symptoms. Mix lemongrass oil with coconut oil in a 1:2 ratio and rub it over the affected area. Leave it on for a few hours before rinsing it off. Do this daily for a few weeks. Drink lemongrass tea twice daily for best results. Lemongrass is highly beneficial for new mothers who are breastfeeding their babies. It has galactogogue properties that help increase breast milk production. Its antimicrobial and antibacterial properties also help the babies remain healthy and free from infections. Lactating mothers can drink one to two cups of lemongrass tea daily. The antidepressant properties of lemongrass help treat depression. The herb activates the release of serotonin, a chemical in the brain that combats depression. Lemongrass relieves anxiety, boosts self esteem, uplifts spirits, gives confidence and improves mental strength. 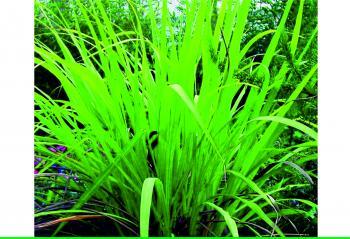 Lemongrass also contains citronella which is well known for its calming effect on the mind and body. It also helps to sleep better. Drink a cup of lemongrass tea, whenever feel depressed or have a low mood. The tea will help keep calm and cool. Lemongrass oil in a diluted form works as an effective deodorant. In fact, beauty experts find lemongrass oil more effective than many of the synthetic deodorants available in the market. The main chemical component found in lemongrass is citral, which is aromatic. It has antimicrobial and antibacterial properties that help control excessive sweating and destroy or inhibit microorganisms that cause body odor. In addition, lemongrass will not cause skin irritation or exacerbate skin allergies. Lemongrass is beneficial for the skin. It can help alleviate various skin issues. Due to its antibacterial, antiseptic and antifungal properties, it helps limit bacterial or microbial growth on the skin. This in turn helps keep the skin free of infections as well as lessen issues caused by bacterial or fungal infections. It acts as an astringent, helps minimize pores, limits the secretions of oil and makes the skin firm. Dilute lemongrass oil with water or another base such as olive oil, before use. Mix one-half cup of freshly sliced lemongrass in one cup of olive oil and heat it for five minutes. Remove from heat and allow it to cool before applying on skin. To sum up, to enjoy these health benefits of lemongrass, drink one to two cups of lemongrass tea daily. However, do not consume it if you are pregnant or taking any medications. Lemongrass is a medicinal plant, native to India. It is high in antioxidants. It can be made into tea and its oil is used in many remedies for respiratory and digestive disorders. The diuretic nature of lemongrass helps remove toxins, uric acid and bad cholesterol from the body by increasing the frequency and quantity of urination. Lemongrass is very effective in breaking down mucus and phlegm buildup & can alleviate problems with breathing. This is mainly beneficial when suffering from bronchitis or asthma. The antidepressant properties of lemongrass help treat depression. The herb activates the release of serotonin, a chemical in the brain that combats depression.